PAL-SALT is a pocket salt meter is versatile with a wide range of 0.00-10.00%. The resolution is 0.01% up to 2.99% concentration. 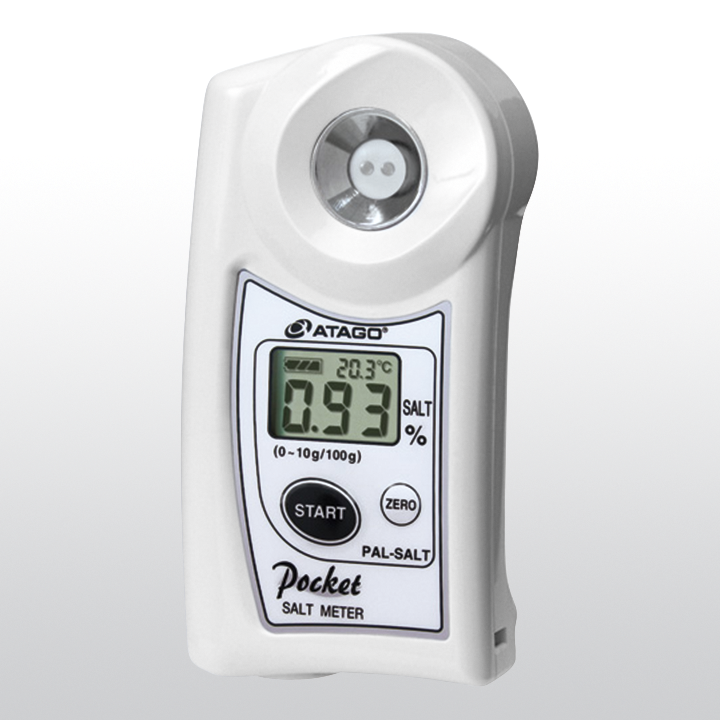 It is ATAGO's first salt meter to come with the offset feature. E.g. program a dilution factor to automatically display the salt concentration of the original sample or program a conversion factor to align the readings with titration methods. Related links to "ATAGO PAL-SALT"